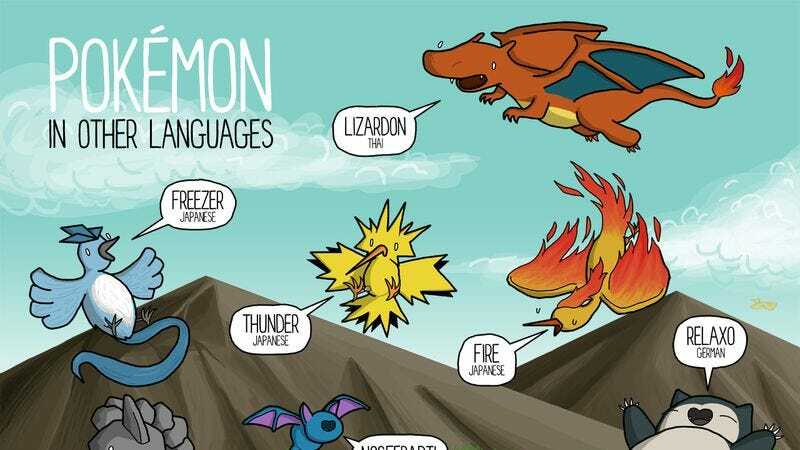 Each Pokémon has a reason behind its English name, so fittingly the beloved pocket monsters would be known differently in other languages. Artist James Chapman has taken a handful of the alternative names and illustrated them for the Internet to enjoy. Some are pretty straight forward, like Krabby simply being “Crab” in Japanese, or Snorlax being “Relaxo” in German. Some are more out there. Magmar is “Boober” in Japanese, while Bulbasaur is a “wonderful frog seed” in French. See the full illustration below. Prints are also available on Chapman’s Etsy.